UK Newcomers Renegade Twelve are destined to rise from the underground, as they release their hugely compelling self-titled debut album, out in stores on Friday 27th January 2017. 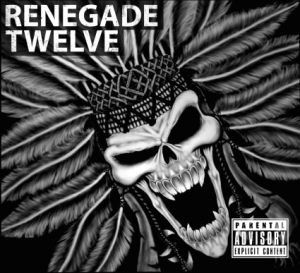 Coming from the depths of Suffolk, Renegade Twelve were born in 2014 and unleash their brand of melodic metal that tips its hat to everyone from Iron Maiden, Metallica, Killswitch Engage and Pantera, through to Slash and Alter Bridge. With rock driven riffs, rich vocals and armed with face melting solos, Renegade Twelve create music that is accessible, yet original. The crew are fronted by Sam Robson, who’s powerful and infectious melodies are the ideal complement to Jacob Mayes’ and Dan Potter’s dual lead guitar flurries. Bassist Josh Barnard and Drummer Jack Mcsloy complete the line up in tandem, providing a stout backbone for the band’s energetic and formidable sound. With a strong work ethic and even stronger bond as friends, this five piece band has gigged extensively throughout their region. By the end of 2016, the tuneful metallers will have clocked up over one hundred shows within this calendar year. Renegade Twelve also have a solid recording pedigree, the band having just finished work on their self-titled debut album with Rupert Matthews (collaborating producer for Rolling Stones, Led Zeppelin and Black Sabbath). 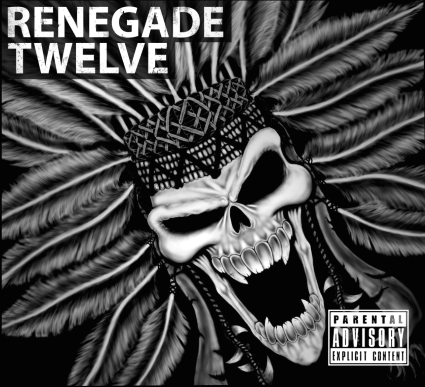 Renegade Twelve’s forthcoming album arrives this January and it boasts ten tracks that burst with razor sharp riffs, shrewd phrasing, and dominant magnetising vocal lines. From the stomping and insanely infectious Mad Max, and the forthcoming single Heroes Of Mine, which soars and ignites from the get-go, to the dynamic and pummelling Bipolar, Renegade Twelve have physical proof in the shape of this debut offering that they are sure to become a prominent force in the UK scene for years to come.